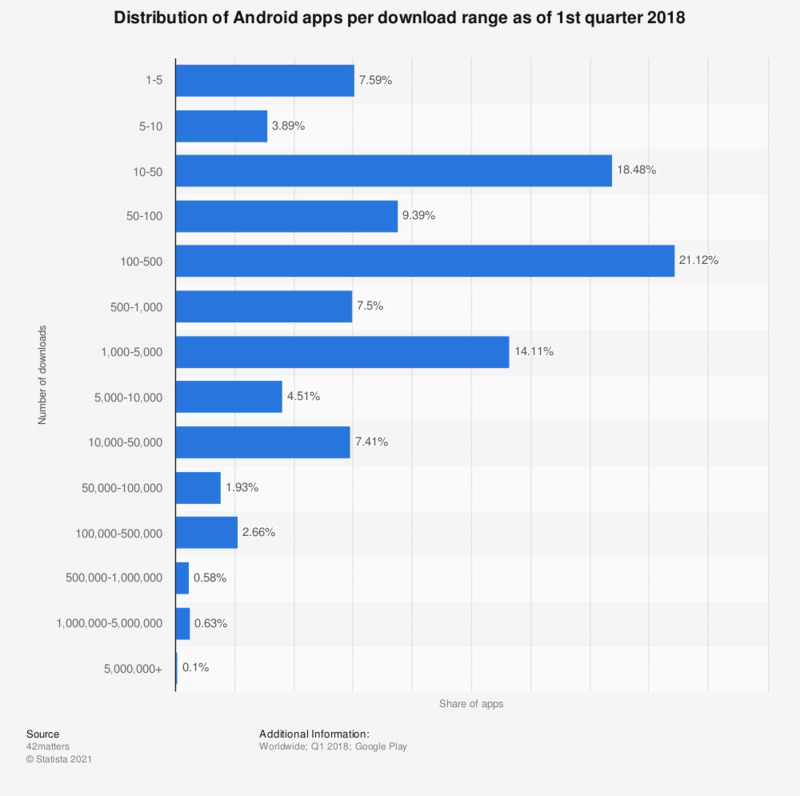 The chart shows the distribution of Android apps per download range as of the first quarter 2018. As of the measured period, 21.12 percent of apps in the Google Play Store had generated 100 to 500 downloads. Only 0.1 percent of apps managed to accumulate more than five million downloads.